Manchester, England: A youth dreams of sailing to America, and ends up in the Selkirk Mountains, working on a transcontinental railroad until the “Snow Spirits” come and drive them away. As always, he returns to the sea. This is my first full length book, my first novel. Although I have written many news stories, it is exciting to be able to add to the list of accomplishments that magical word: novelist. Now all I need to do is get the word out, and I hope that you, my reader, will help me with this, and if you do, I will be forever grateful. Thank you for reading or reviewing the book and making my joy complete. That’s it. Enjoy your reading. Bonnie Jean says my book is good! 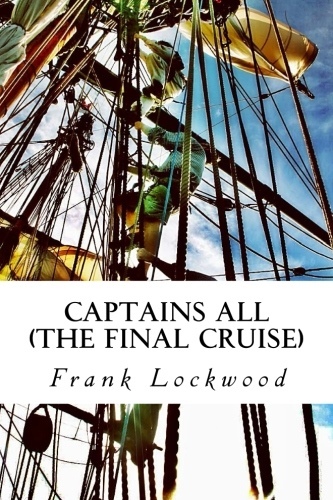 Welcome and all aboard for “Captains All,” an adventure story with a surreal ending.